Kanom Bau Loyขนมบัวลอยมันเทศ Glutenous rice flour dumpling with sweet potato in sweet coconut cream. 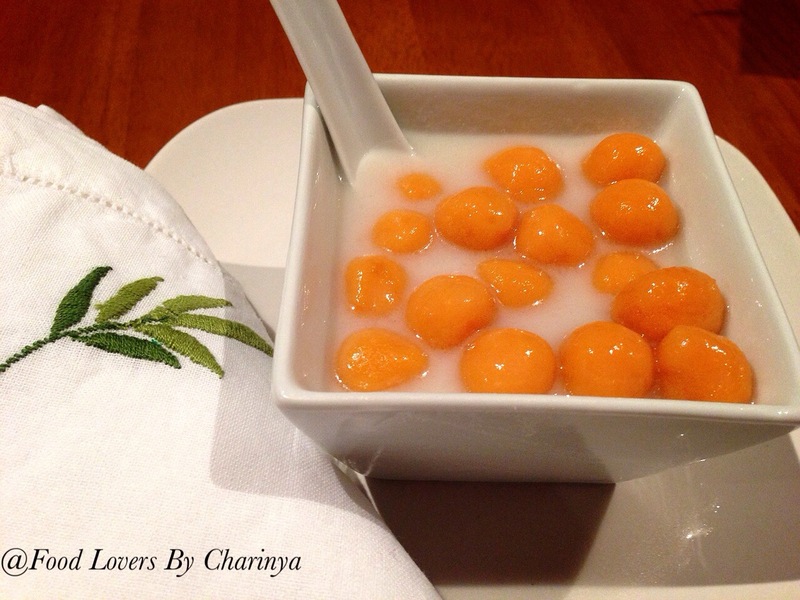 This Thai dessert has a sweet and creamy taste. It is very easy to make. I even remember making it when I was at school. Originally it featured taro root instead of sweet potato, but now there are many varieties. Instead of using sweet potato you can use carrot or beetroot, which will give you a different colour. • 200g sweet potato, peeled and cut into chunks. • 1/4 cup of sugar, increased or decreases as desired. Steam the sweet potato for about 20 mins, or less if they were cut smaller. Mash the sweet potato until smooth and allow to cool. Gradually add the flour to the mashed potato and mix well. 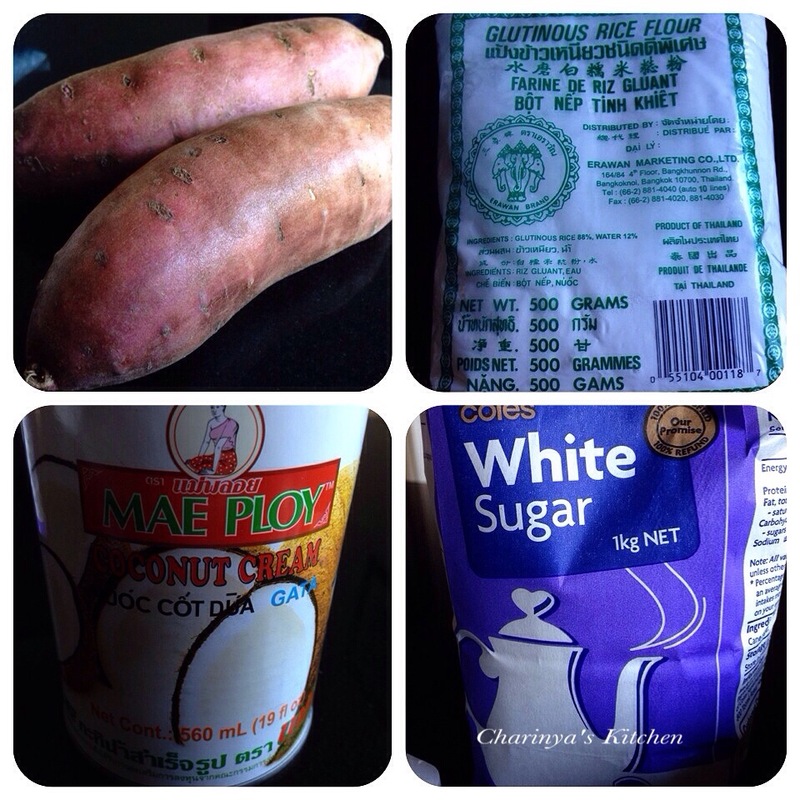 Add 3 tbsp of coconut cream into the mix of mash potato and flour and knead it into a dough. If it is too dry you can add a bit more coconut cream, or more flour if it is too watery. 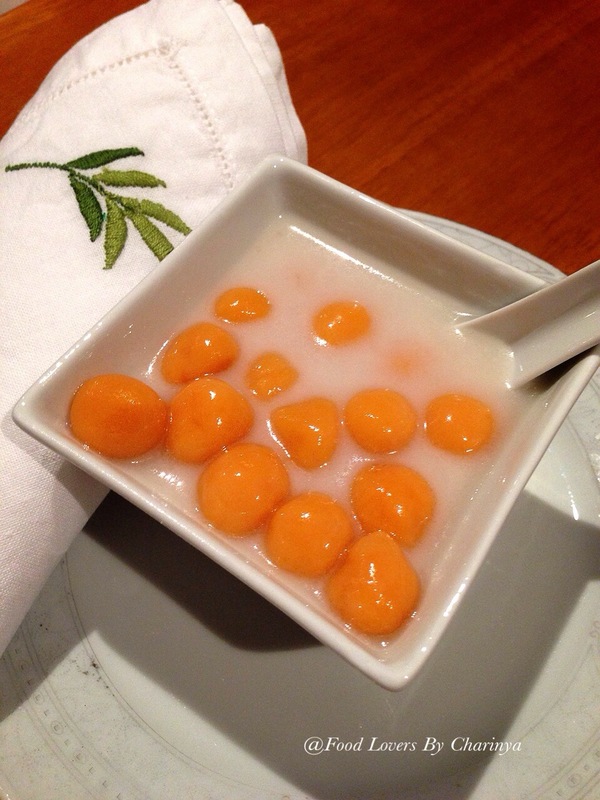 Shape the dough into a number of small balls about 1cm in diameter. Place the dough balls into the boiling water. When the balls float on the surface of the water, spoon them up and cool them in cold water. Mix coconut cream and 1/2 cup of water in another saucepan before adding sugar and a pinch of salt. Place the sauce pan with the mixed coconut cream on a moderate heat. 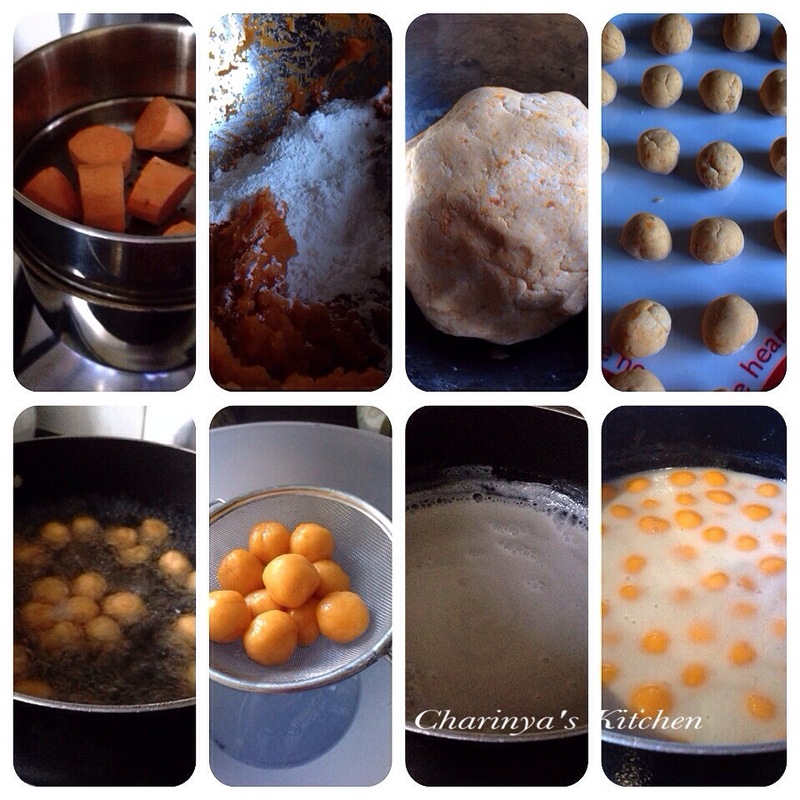 When the mixture is boiling add the balls, cook for 2 minutes then remove from the heat. Allow it to cool before serving it warm or cold. I like this dessert too:-) thank you ka.